First Wedding Dance Choreography – Swing or Nothing! Your first dance as a married couple is a memory that will last a lifetime. …with wedding dance lessons and choreography from Nathan! 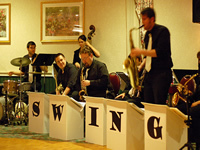 Look and feel confident dancing your first wedding dance and wow your guests with swinging style! 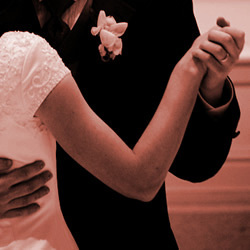 Nathan will teach you the basics of partner dancing as well as a unique wedding dance choreography customized just for you. Nathan can help you select a wedding dance song from his extensive collection of romantic dance music, or you can provide your own music. Nathan recommends starting your lessons at least 2 months prior to your wedding day to leave time for practice and polishing, although he has also taught couples to dance in as few as five 1-hour lessons. Contact Nathan to schedule a lesson today!